Yeah, but: Accepting limits and resetting expectations. 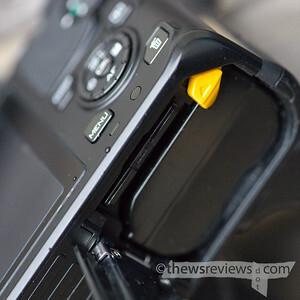 The Long Version: I bought the Nikon V1 only because it uses the EN-EL15 battery. My main camera is a Nikon D800, so this gives me two complimentary cameras that use the same charger, and now I have a pool of four batteries to share between them. It's a rare moment of system-building from Nikon, which they corrected by launching a brand new battery with the Nikon 1 V2. The J1/J2 also use a different battery that no other cameras take, making the V1 a rare gem. Let me be even more clear: I don't care how much smaller the J1/J2 are, and I don't care if the V2 has better image quality (edited to add: it doesn't) or that it's even faster than the V1. I didn't buy the V1 as an endorsement of the CX format or Nikon's idea of what a mirrorless camera should be, or because I'm interested in it as a multi-generational camera system. I bought it as a small camera with a few little lenses that would compliment my heavy iron, creating a higher-quality alternative to my Canon S100 for travel and casual photography. I also would not have bought the V1 if Nikon wasn't blowing them out at a fraction of their introductory price. 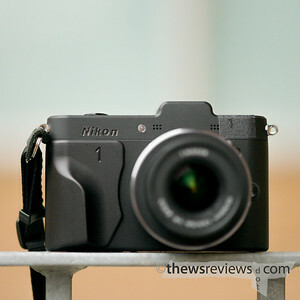 This camera, with the 10-30mm lens, cost less than a decent point-and-shoot. The $900 launch price put this camera up against competition that it couldn't hope to beat, but now that a two-lens kit sells for half of that, the camera deserves to be reevaluated. 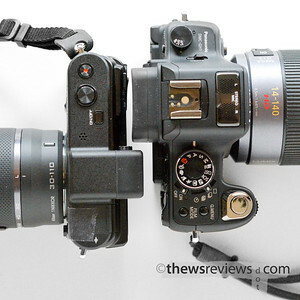 Most of the people who blindly hate the "Nikon 1" system and its CX format – but, admittedly, not all – have never used one of these cameras and just dislike it on principle. I went over my complaints about the V1 elsewhere, but what really frustrates me is that deep inside there's a really competent camera that's struggling to get out. I went from having just the discounted zoom kit to a full system, with two zooms, a fast prime, the adapter for my AF-S Nikon lenses, and Richard Franiec's custom grip, in just three weeks. The total kit still cost less than the Panasonic 7-14 for my GH1, too – it's hard to dislike that. The CX format took a lot of grief for having a little sensor, but it does make for some small and cheap lenses. 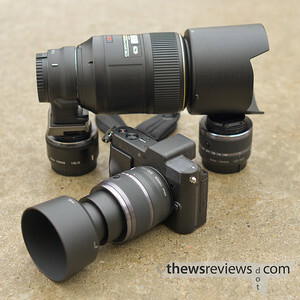 The Nikon 30-110 is slightly smaller and lighter than the Olympus 40-150, which shares the same field of view, despite having five more elements and built-in image stabilization. Putting the V1+30-110 next to a 70-300mm on my D800, or even a 55-200mm on a D7000, is eye-opening. No, the V1 won't give me the image quality that the heavies do, but I simply wouldn't carry the SLRs with those lenses for casual use in the city. My entire V1 kit is something I can throw in a small 7L-capacity sling bag just in case I feel like using it. Then I add a toque, gloves, keys, wallet, my S100, iPhone, earphones, beverage, and snacks to the bag as well. No big deal at all. 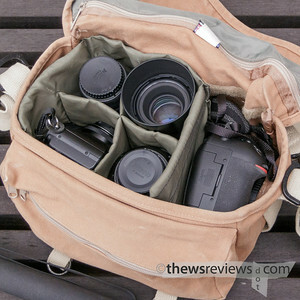 That same bag can just barely squeeze in the D800 and 70-300, with its hood reversed, but it would carry nothing else. I can easily pack my Domke F6 "Little Bit Smaller" with a two-camera system. The D800 takes up a third of the bag all on its own. The FT1 F-to-CX mount adapter, 50/1.4G, and 105VR, hood reversed, occupies the middle third. The V1 with 18.5mm prime attached, 10-30 standard zoom, and 30-110 telephoto take up the final third. A couple of spare batteries and the charger that feed both cameras can happily fit in the front pocket of this small camera bag. Can anyone say "Road Trip"? The V1 happily motors along at 5fps, with a buffer that holds 42 raw images, and can still use its wide-area phase-detect auto focus for tracking birds in flight. If that's not enough then it can drive at 10fps with centre-point AF calculated for each shot. If that's still not enough it can step up to 30 or 60fps, but at the expense of locking focus and taking its as-metered exposure from the first frame. Stop for a second and think about that: this camera was launched in September 2011, back when the D3s was the king, and the big Nikon did 9fps with a 48-shot buffer. No, the V1 isn't nearly the camera that the D3 was, but you can't fault it for a lack of ambition. Making this even better is that the V1 does it all with an electronic shutter that's completely silent. Other cameras are 'nearly' silent, like the leaf shutter in the Fuji X100, or the mechanical shutters in the average compact camera, but the whole Nikon 1 family can make absolutely no sound at all. The lenses are also very, very quiet when focusing; to my ear they're even quieter than my AF-S lenses. If I'm in a sound-sensitive environment – music recital, guest at a wedding, family gathering, audio recording – then there really is no other camera choice. The CX sensor size does naturally have its downsides. It shows about three stops more depth of field than an FX camera. Its pixel density would work out to about a 74Mpx full-frame sensor, making it fairly demanding on its lenses. It shows high-iso noise – and mid-iso noise – fairly easily, and most lenses are diffraction-limited by the time they're zoomed all the way in. 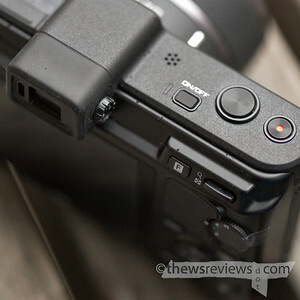 But this sensor size that's widely considered too small for a serious camera has set the compact world on fire within the Sony RX100, so it's not worth being too worried about. 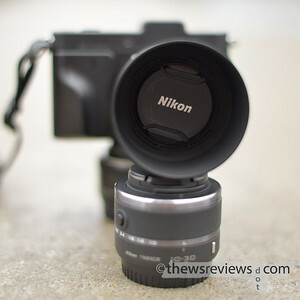 I'll have more to say about the FT-1 – Nikon's F-lens to CX-mount adapter – in another review, but the small sensor does redeem itself for telephoto and macro photography. You know what they say: every silver lining has a cloud. Another problem with the CX sensor size is that the 2.72x crop involves some rather awkward math. I wish Nikon had gone with a 2.5x or 3x just to make the system easier to grasp – quite seriously, if something is tough to explain in a store or in an ad, it's a problem. Rather than trying to multiply by 2.72 in my head, I use the simpler "(f x 3) - ((F x 3)/10)" where "f" is the focal length. Really, this is easier – triple the focal length and subtract a tenth. Take the 105mm lens in the photo above as an example: one hundred and five times three is three hundred and fifteen. A tenth of three hundred and fifteen is thirty-one and a half, but we'll round down since focal lengths are just approximations anyway. Three hundred and fifteen less thirty is two hundred and eighty five. So a 105mm lens on the V1 has about the field of view of a 285mm lens on a full-frame camera. I'll leave it as an exercise for the reader to convert that to other crop factors. Understanding the battery life with the V1 isn't as simple as counting the number of photos per charge. The normal CIPA testing cycle gives about 400 photos, but that's based on a lot of pausing and review. I've taken over 1500 photos on one battery when using long bursts of consecutive shots to catch action, so apparently that barely taxes the camera at all. There's a lot to be said for having a spare battery whenever it's important, and the V1 doesn't have all-day endurance. But it does have better stamina than most of the compact or mirrorless cameras out there, and easily smokes my D800 when the heavy iron is depending on live view. One neat feature of the V1 is the built-in intervalometer. I tried to do a time-lapse with my D700 once, but the incessant clicking of the shutter drove me to distraction, and all of those shots probably took fifty bucks off of the camera's eventual resale value. A bad idea all around. 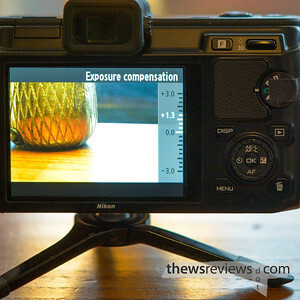 But combine the intervalometer with a silent shutter and one problem goes away; the fact that a Nikon V1 has zero resale value from the very beginning makes the other problem moot as well. Accepting that the Nikon 1 system is likely to be orphaned and will eventually die alone and unloved really is liberating. Not only do I not have to worry about running up the shot count – not that the electronic shutter is likely to wear out – I finally have a camera that I can customize. I've used a pigment pen to black out Nikon's logo (after a few failed experiments with acrylic paint) and, although it's still a little glossy, the dye job has held up well and is easy to retouch. I've taped over the small V1 logo, which has the added benefit of stopping the accessory port cover from falling off. 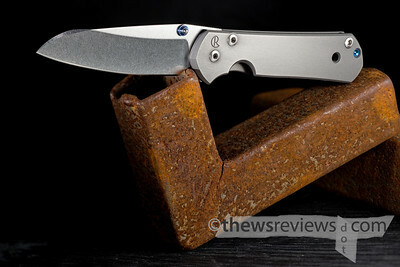 Richard Franiec's grip replaces the big silver "1" logo with a muted version, and vastly improves the V1's handling. Now the camera is really mine, and I feel a certain affection for it that I didn't have before. Despite knowing a couple of photographers who exclusively use different mirrorless interchangeable lens format cameras, such as our friend Bill Beebe, I'm not nearly ready to give up my SLRs. I'm not even willing to give up my other mirrorless format, which is currently the old Panasonic GH1 and three lenses, or my little point-and-shoots. I like cameras. I can't help it. A camera that can be used one-handed and carried in a pocket is very different from one that needs two hands to use, so something like the Canon S100 does fill a different niche – rhymes with quiche – than the V1. Trading image quality for convenience is a long and honourable photographic tradition. The practical difference between the S100 and V1 is that I won't print more than 5x7" from an S100 image, while I can push the V1 up to 18x12", so I only carry the S100 when fitting in a pocket is its main photographic requirement. Owning a D800 – or really, any of the cameras that take an EN-EL15 battery – renders the shortcomings of the Nikon V1 irrelevant. Poor image quality in low light? I don't care. Relatively low resolution? I don't care. Extensive depth of field? I don't care. I have a bigger and better camera, a 'real camera' if you prefer, that takes care of all of that. When it's dark, or peak image quality matters, the V1 isn't the camera I would reach for. I would't endorse the V1 as an Only Camera, but with more modest expectations there's no reason why it can't play happily alongside others. Of course it would be nice to have a camera that combines cutting-edge DSLR performance with the size of a mirrorless camera, but that simply isn't going to happen for the next few years. 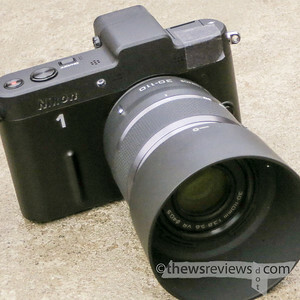 Being small and quiet, with decent image quality, is really all I ask from my second-tier digital cameras, and that's all the Nikon V1 is ever going to be. I'm okay with that. 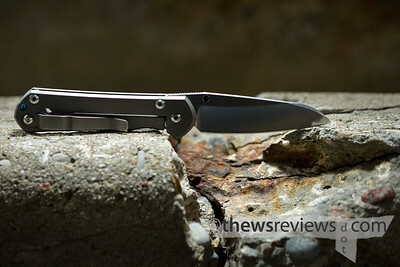 You're invited to read 'part three' of this review, where I look at actual image quality, but for now I can say that it's sufficient, and that's enough for me. Yeah, but: They need to be everywhere. 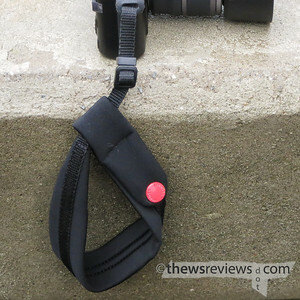 The Long Version: The Joby Griptight is a clever little device that spring-clamps to a phone, folds flat for storage, and attaches to any tripod. It's a natural with the Joby Micro 250 – the smaller model of the Micro 800 that I've previously reviewed – which is how I typically use it. 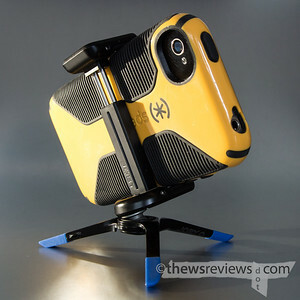 When attached to one of Joby's Micro tripods it will only hold a phone in 'landscape' mode. Now, I rarely use my phone for photos or video, but this is perfect for propping the phone up on a table for watching videos. I've used this product for watching a couple of episodes of The Nature Of Things, so owning it has actually made me smarter. 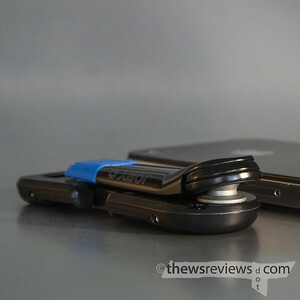 I've never said that about any other photographic or phone accessory, so that's a win right there. 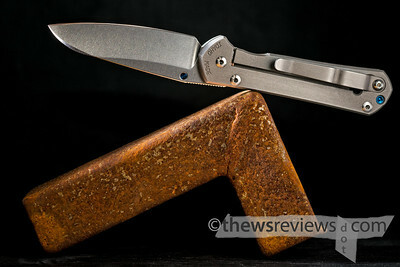 The nice thing is that the Joby Griptight is that it's brand-agnostic. 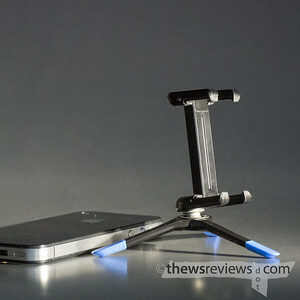 Many iPhone-specific tripod adapters won't even work with the phone in a case, but even my bulky Speck Candyshell Grip case – yes, terrible name – fits with no problem. I even borrowed an Android phone from the only person I know who has one, and it fit with no problem as well. I measure its widest span at about seven centimetres, which should accomodate just about anything that can be sensibly carried in a pocket. 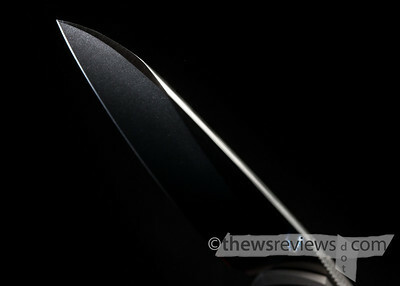 I usually try to have something insightfully critical of the products I review, but in this case I'm coming up empty. It's not going to become a family heirloom, but it's solidly built and the judicial combination of metal and plastics keep it light. This little thing is actually the reason why I finally bought an x-mini capsule speaker: they combine to create my end-table home theatre. 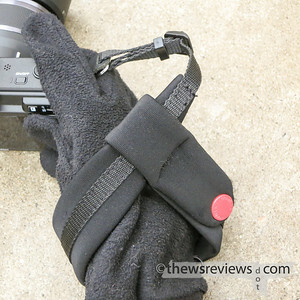 The Griptight is a good solution to a simple problem, and it folds down and stows easily when it's not needed. How could anyone not like that?